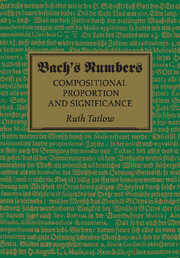 Winner of the 2012 Ogasapian Book Prize from the The Organ Historical Society The organist seated at the king of instruments with thousands of pipes rising all around him, his hands busy at the manuals and his feet patrolling the pedalboard, is a symbol of musical self-sufficiency yielding musical possibilities beyond that of any other mode of solo performance. 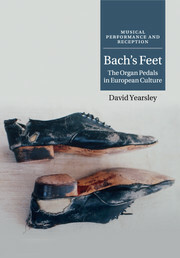 In this book, David Yearsley presents a new interpretation of the significance of the oldest and richest of European instruments, by investigating the German origins of the uniquely independent use of the feet in organ playing. 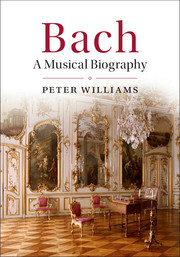 Delving into a range of musical, literary and visual sources, Bach's Feet demonstrates the cultural importance of this physically demanding mode of music-making, from the blind German organists of the fifteenth century, through the central contribution of Bach's music and legacy, to the newly-pedaling organists of the British Empire and the sinister visions of Nazi propagandists. 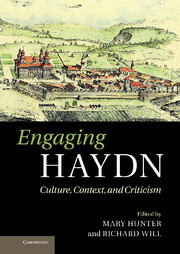 "There is much to enjoy in this compelling study"
"Yearsley’s ability to make con- nections among disparate elements shows a rare degree of insight pos- sessed by one at once passionate about the subject matter and deeply immersed in it through lifelong involvement and study. 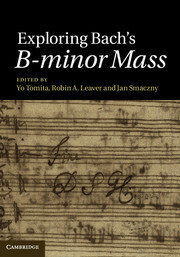 It is a rare book about the organ that can appeal to, and inform, both organ- ists and non-organists. In focusing on the feet, Yearsley crafts a point of view to which anyone can relate." 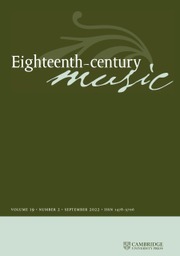 David Yearsley is the author of Bach and the Meanings of Counterpoint (Cambridge, 2002) as well as numerous essays on European musical culture in the seventeenth and eighteenth centuries; his scholarly work has appeared in the Journal of the American Musicological Society, Music and Letters, Early Music and Eighteenth-Century Music. Active as a performer on organ and other keyboard instruments, his recordings are available on the Loft and Musica Omnia labels. Yearsley has been an Alexander von Humboldt Fellow at the Humboldt-Universität zu Berlin and a Wenner–Gren Foundation Fellow at Göteborgs Universitet, Sweden. A long-time member of the pioneering synthesizer trio Mother Mallard's Portable Masterpiece Company, he is Professor of Music at Cornell University, New York.